Sibling rivalry could result in healthy competition but it’s even better for chartered insurance broker Andy Jensen (pictured), one of the brother-duo behind Matt Jensen Insurance Brokers. His secret admiration for his brother led him to learn and share his ambition, passion and drive to build what is now a successful insurance brokerage. Jensen joined the insurance industry from the aircraft engineering industry. He recalls starting small with his brother Matt, including challenging but exciting attempts to partner with big insurance companies. Insurance Business caught up with Jensen to learn more about his thoughts on the industry. Andy Jensen: I had secretly admired my brother Matt’s success as an insurance broker, who in the 1990s was driving an Audi when I was driving a 10yr old Nissan. He was an insurance broker, I was an aircraft engineer. The decision wasn’t as difficult as you may imagine! IB: You previously worked with Air New Zealand, Singapore Airlines and Pratt & Whitney. What have you learned from these experiences and how do these lessons help you now? AJ: If you flew with Air NZ or Singapore Airlines in the 1990s and 2000s there’s a good chance I would have been part of the team that overhauled and built your Boeing’s jet engines. Look closely at any mature industry and you will find structure, compliance and governance, and this is true of both the aircraft engineering and insurance industries. Transferrable skills, attention to detail and analytical thinking – examples of these are the capability to interpret policy wordings, implementing procedures and systems into our workplace and the confidence to challenge decisions. AJ: Our company today owes its success to events 15 years ago. My brother and I started the company rather ambitiously, in a small town with a restraint of trade, no clients, a global financial crisis just around the corner and without the support of NZ’s two largest insurers. Doubtless there was a large audience curiously waiting for two brothers working together to fail! 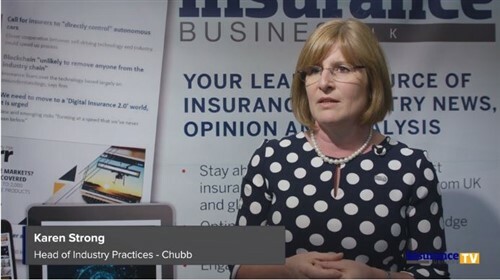 Our early days were thus very challenging but exciting; we were forced to find other insurers to partner with - we naturally placed a large emphasis on converting new customers. This was a blessing in disguise and enabled us to offer a genuine point of difference in product advice. Challenging the establishment (I dislike the word disrupter, this is derogatory) and successfully overcoming obstacles are the foundations our business was built on and it continues today with our 14 likeminded staff. In addition, not having purchased or inherited a book of business, means that each of our clients has been gained on merit. It is impossible to do this without ambition, passion and drive, which, at the risk of sounding self-serving, are qualities we are all proud of. A preordained perception that the internet and AI will render us all redundant. This is NOT a self-fulfilling prophesy. New insurer risk-based pricing in geographical areas. New Zealand Insurers losing their local influence by their overseas owners. Insurers offering ‘direct to customer’ products via portals. Not recognising the value proposition brokers offer both inside and outside our industry. It is rare to find a profession that requires a wide range of one’s own technical knowledge, a familiarity of many other industries, and this with charismatic sales skills. Stand tall brokers! AJ: It astounds me that there is very little emphasis placed on teaching sales techniques to brokers. I am pleased to see that IBANZ is now providing some learning on this subject via its webinars which is fantastic, but it’s just scratching the surface. It was Drucker who suggested that the purpose of every business organisation was to create and maintain a customer, and rightly or wrongly the industry has largely left advisors to do this on their own. An emphasis on offering correct advice in a regulated environment AND sales training are not mutually exclusive primacies. With the availability of new technology, in particular web-based processing platforms, it is astonishing that the process path of conducting business is still carried out by most insurers using stationary, a scanner and what seems like a hundred touch points. There are some new innovative platforms currently in use – Steadfast’s SVU for example – but this is an area where the wider insurance industry trails the finance and banking sectors, by some distance. Lastly, I hope the industry can be proactive and work with schools in promoting insurance as a pathway option for school leavers. AJ: This first thing I did when changing industries was enroll in an ANZIIF qualification to learn my trade. What other professional industry allows members to hit the ground running with no formal training or qualifications? I genuinely had no idea of how our industry operated and if I was willing to change professions, I certainly wasn’t going to gamble on it. Everyone who falls into the industry has something to offer that’s unique to them. These could be hobbies, previous employment skills or life experiences. Own this privilege and champion it! In making a connection with a potential customer or new work colleagues, I am frequently surprised how often we meet on common ground on topics as diverse as home-kill meat processing, dissecting Married at First Sight (don’t say you don’t) or why the Cleveland Browns will reach post season in this year’s NFL. Take an interest in others and they will return the compliment in kind. Finally, never underestimate the advantage a strategic partnership or a mentor can offer. Find a successful entity or person in your workplace and model yourself on them. Successful people don’t get there by sheer luck, and largely due to their success they are more than willing to share and mentor others. AJ: To be fair, I doubt I’m alone in my beer quest! Outside of this I discovered the benefits of further education and am presently nearing completion of my Master’s degree. The benefits this unlikely pastime provides are challenging myself and gaining a sense of achievement, a more inquisitive mind and acquiring new skills that are transferrable in all areas of life. When this gets too much for me (and it can! ), I enjoy the benefits of long-distance running, having completed a few marathons. AJ: Working in Singapore’s Changi Airport, certifying maintenance on Pratt & Whitney PW4000 series Turbofan engines.